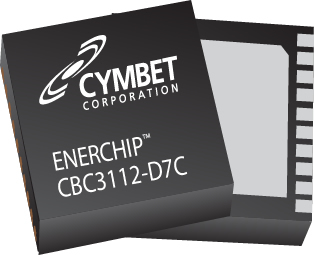 Cymbet EnerChip™ battery and energy harvesting solutions provide an innovative way to place energy storage where it has never gone before. EnerChip™ bare die can be embedded with other integrated circuits and packaged parts use standard automated SMT and reflow solder assembly. legacy Supercapacitors and Coin Cell batteries can not be used. is a 50uAh (Lifecycle Capacity= 25mAh) rechargeable 5.7mm x 6.1mm x 200 microns thick solid state battery bare die to be co-packaged with other integrated circuits using wire bond attachment in a single package or multi-chip module. is a 5uAh (Lifecycle Capacity = 2.5mAh) rechargeable 1.75mm x 2.15mm x 200 microns thick solid state battery bare die to be co-packaged with other integrated circuits using wire bond attachment in a single package or multi-chip module. The electrical specifications for the CBC005-BDC are contained in the CBC3105 datasheet as linked below. is a complete single chip power management solution that provides battery backup control and power management for systems requiring power bridging and/or secondary power. The CBC910 is available as a bare die. 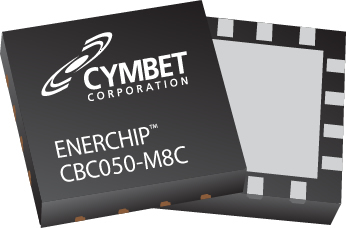 The bare die CBC910 is particularly useful for projects intergrating EnerChip solid state battery bare die with other Integrated Circuits and components in a single package or multi-chip module. When evaluating EnerChip Solid State Batteries for your designs, it is important to review the Lifecycle Capacity (LC) of each device. Since EnerChips can be charge cycled many thousands of times, an EnerChip has a similar energy storage equivalency per volume of much larger primary coin cell batteries. 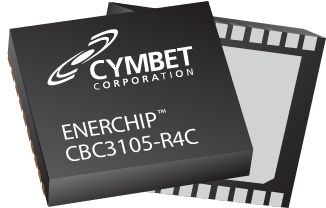 For example, the 50uAh EnerChip CBC3150 is rechargeable 5000 times at a 10% depth of discharge to 80% of rated capacity. This yields a Lifecycle Capacity of 25mAh using the conservative datasheet charge cycle specifications for this device. Therefore, the 10x smaller footprint EnerChip has the same Lifecycle Capacity per unit volume of a much larger problematic primary coin cell battery. The EnerChip is an Eco-friendly device, providing long intervals of operation between recharges. When coupled with energy harvesting techniques, these devices can provide the energy storage to build self-contained, long lived powered systems that have minimal negative environmental impact. As a solid-state device, the EnerChip is RoHS compliant and contains no hazardous materials, flammable solvents or liquids that can harm the user or the environment, therefore eliminating or reducing end-of-life product costs. Environmental friendliness is a key EnerChip attribute, since the product is designed to eliminate battery replacement and last the life of the product it powers. To facilitate easy evaluation of the EnerChip rechargeable battery products, Evaluation Kits have been created that provide everything a designer needs to fully evaluate the performance and operation of the EnerChip energy storage devices.